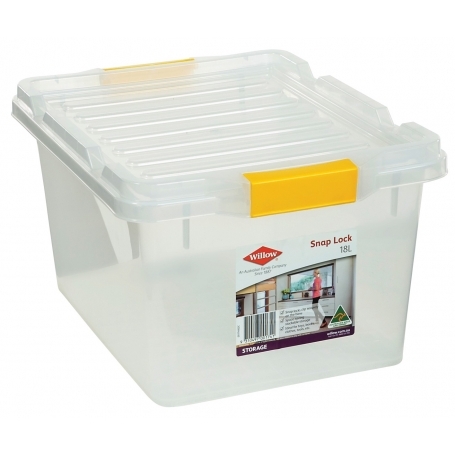 These 18 litre storage boxes are ideal for packing away food stuffs, toys or clothing. A versatile clear box with snap clip closures. Ideal for tidying the ktichen, laundry, office, garage or workshop. They are easy to stack and the contents can be viewed due to their clear construction. Multi-purpose storage box great for your home, work place or garage.